Welcome to Dive Connections, Charlottesville's finest dive store serving all of the Central Virginia area. We like to think we are different. 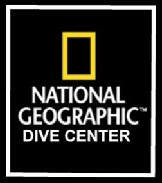 Yes, we sell equipment and instruction, but our goal is to get people to GO DIVING! We believe that if divers go diving that more people will be attracted to the sport. We are dedicated to providing the highest possible quality products and services. Whether it is equipment sales or rentals, equipment service or repair, or training at the recreational, technical or career level, you can count on us to provide the highest possible value. Give us a chance to prove it to you. We'd love to be your connection to everything underwater! So, if there is anything we can do to help you GO DIVING, please give us a shout.